The complexity of modern embedded systems, which are increasingly based on heterogeneous MultiProcessor-SoC (MP-SoC) architectures, has led to the emergence of system-level design. To cope with this design complexity, system-level design aims at raising the abstraction level of the design process. Key enablers to this end are, for example, the use of architectural platforms to facilitate re-use of IP components and the notion of high-level system modeling and simulation. The latter allows for capturing the behavior of platform components and their interactions at a high level of abstraction. As such, these high-level models minimize the modeling effort and are optimized for execution speed, and can therefore be applied during the very early design stages to perform, for example, architectural Design Space Exploration (DSE). Such early DSE is of paramount importance as early design choices heavily influence the success or failure of the final product. System-level design for MP-SoC based embedded systems typically involves a number of challenging tasks. For example, applications need to be decomposed into parallel specifications so that they can be mapped onto an MP-SoC architecture. Subsequently, applications need to be partitioned into HW and SW parts since MP-SoC architectures often are heterogeneous in nature. To this end, MP-SoC platform architectures need to be modeled and simulated to study system behavior and to evaluate a variety of different design options. Once a good candidate architecture has been found, it needs to be synthesized, which involves the synthesis of its architectural components as well as the mapping of applications onto the architecture. To accomplish all of these tasks, a range of different tools and tool-flows is often needed, potentially leaving designers with all kinds of interoperability problems. Moreover, there typically remains a large gap between the deployed system-level models and actual implementations of the system under study, known as the implementation gap. Currently, there exist no mature methodologies, techniques, and tools to effectively and efficiently convert system-level system specifications to RTL specifications. 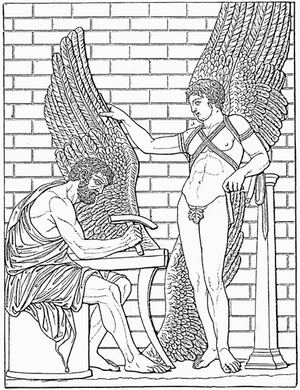 The Daedalus framework addresses these system-level design challenges. Its main objective is to bridge the aforementioned implementation gap for the design of multimedia MP-SoCs. It does so by providing an integrated and highly-automated environment for system-level architectural exploration, system-level synthesis, programming and prototyping.